In “Sharing the Journey with Immigrants: A Reflection on Human Goodness,” Sister Donna Markham, President and CEO of Catholic Charities USA, shared her personal experience as well as Catholic Charities USA’s efforts to advocate for immigrants and refugees seeking a new life in the United States. 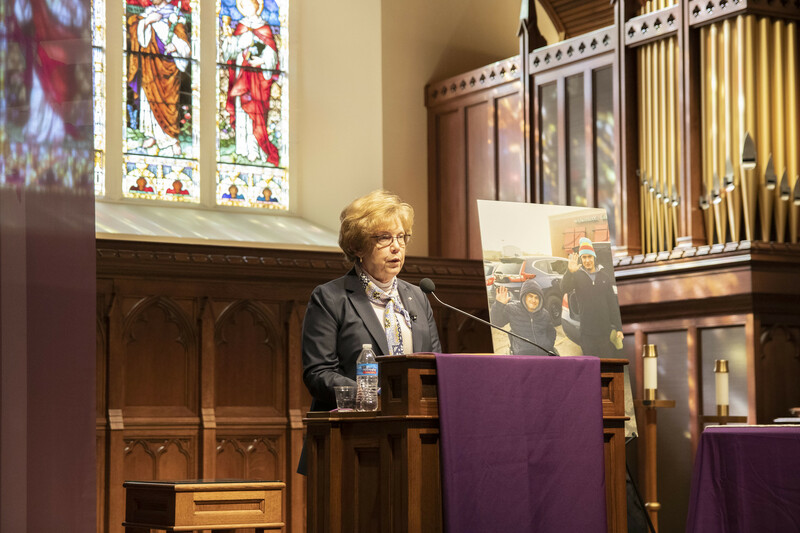 Recently, Mission and Ministry welcomed Sister Donna Markham, president and CEO of Catholic Charities USA, to campus as the latest speaker in the Dahlgren Chapel Sacred Lecture Series. Markham’s talk, Sharing the Journey with Immigrants: A Reflection on Human Goodness centered on her personal experience as well as Catholic Charities USA’s efforts to advocate for immigrants and refugees seeking a new life in the United States. To highlight some of the circumstances immigrants and asylum-seekers face, Markham told the story of two brothers from Honduras, Carlos and Edwin. Carlos had been shot in the back and was paralyzed. Desperate to escape the gang violence, Edwin pushed his brother in a wheelchair until they reached the U.S. border a year after setting out. Terrified that they would be sent back to Honduras, Catholic Charities helped them find a temporary home in Chicago until they were relocated to a permanent home in Canada. “This is the incredible true story of what I refer to as transcontinental human goodness,” said Markham. After facing the threat of being deported, as well as the many other hardships that tormented the brothers throughout their journey, they were finally able to find safety. “I wanted to focus on a different narrative, one that speaks to the kindness of people across the continent of North America,” she added. You can watch Sister Markham’s talk on YouTube. If you’re interested in the work of Catholic Charities USA or in volunteering, please consult their website. The Dahlgren Sacred Lecture series is based on the Jesuit sacred lectures, a Jesuit tradition that historically aimed to educate and inspire listeners to grow in their own faith. — Dustin Hartuv is a freshman at Georgetown and a staff writer for Campus Ministry. Several months ago, as summer came to a close, and I along with a group of Georgetown students finalized our preparations for the Center for Social Justice’s pre-orientation program, the Attorney General of Pennsylvania released the state’s grand jury report on the Catholic Church’s clerical sexual abuse crisis. I distinctly remember people bustling around me to attend to various tasks as I read in disbelief about the Bishop of Pittsburgh, — my bishop — David Zubik’s response to the report, and his claim that during his 30 years of association with the diocese there were no cover-ups. I could not believe that someone who I had trusted could make such a claim. I entered this school year awash in emotion — anger, sorrow, distress — and with an intense desire to learn more about the Church’s structural issues. I attended two events last semester Taking Action Amid Crisis for the Catholic Church featuring Patricia McGuire, president of Trinity Washington University, and the Dahlgren Dialogue A Path Forward on the Clerical Sexual Abuse Crisis. Both events were informative and helped to frame my understanding of the crisis. However, I found the Taking Action event was also incredibly empowering. McGuire a laywoman and a pragmatist explained that her expertise lay in problem-solving rather than theology as she suggested that the Church must involve the laity in its decision-making processes to ensure greater accountability concerning the sexual abuse crisis. I felt empowered by McGuire’s suggestions. As a lay person, I also believe the Church is more than its clergy, it belongs to the laity as well and it should be involved in how the Church operates and how it addresses the clerical abuse crisis. In addition to arguing for more laity involvement, McGuire also said the Church should involve women more fully in its structure. As a young woman involved in the Catholic community at Georgetown, I appreciated McGuire’s call to action to young people and for the Church to recognize the importance of women. I realized, that to enact the change I want to see in the Church, I will need to actively and critically engage with the institution. I speak only as one woman in the Church, and the experiences of other women will determine the action which they desire to take. As McGuire concluded her talk she reminded us that a commitment to human dignity is a principal tenet of Catholicism and, although the Church commits itself to the protection of all life, the actions of some priests and bishops across the country and around the world demonstrate a lapse in this commitment. The lives of survivors and their families are forever impacted by the desire of individuals inside and outside of the Church to maintain a power structure that benefits them at the expense of some of the most vulnerable people. I am motivated by my anger at this breach of trust to become involved in reforming the Church and by my hope that it is possible to affect change. 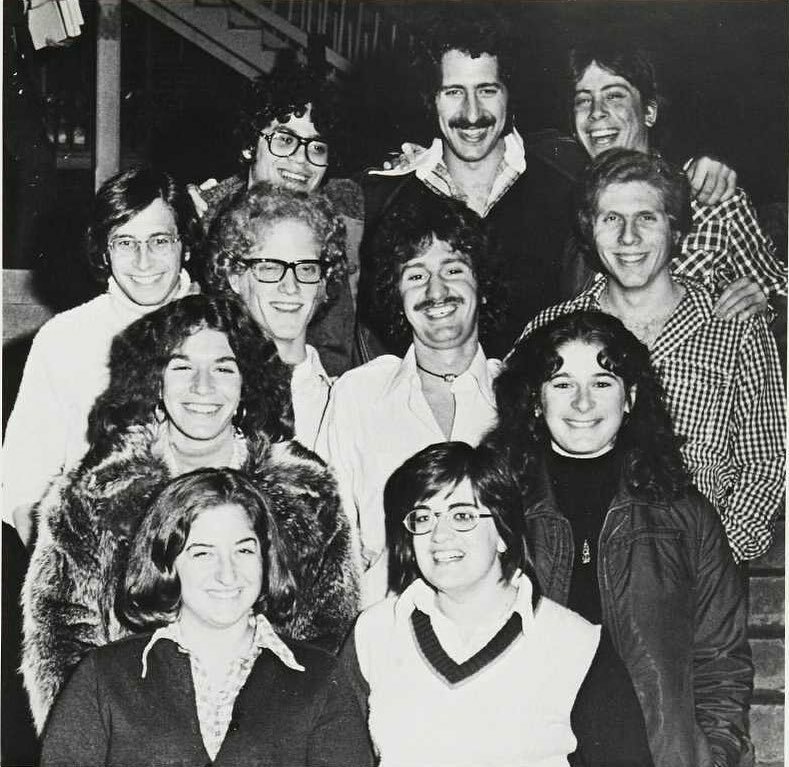 Building on the endeavors of the earlier Jewish student group, B’nai Shalom (founded 1963), in 1975, sophomores David Lippy and Jay Kosminsky founded the Jewish Student Association in order to advocate for more robust Jewish resources on the Hilltop. Source: Georgetown University Archives. On March 22, Jewish Life (formerly “The Jewish Chaplaincy”) is celebrating its 50th anniversary at Georgetown University during a commemorative Shabbat service. Staff writer, Dustin Hartuv caught up with Rabbi Rachel Gartner, director for Jewish Life to ask her about the history and accomplishments of Jewish Life on the Hilltop. See below for event details. Q: Would you give us a brief overview of the history of Jewish Life at Georgetown? A: This Shabbat, we’re marking 50 years since 1968 when Rabbi Harold White came to campus. There’s been a Jewish presence on this campus since the 1870s, but in the late 1960s, the university dramatically increased its commitment to fostering a robust Jewish program and community here. At that time, Georgetown hired Rabbi Harold White (of blessed memory) as a way of responding to Vatican II’s document Nostra Aetate, (literally “In Our Time,”) with its call to multi-faith engagement. Georgetown had hired rabbis before, who were part-time, and they are an amazing part of our history. But with the arrival of Rabbi White, an organized Jewish community at Georgetown began to cement itself. Q: What has been one of Jewish Life’s major accomplishments since its beginning? A: Well, thanks to our staff team (which we’ve been able to triple since I arrived), and our truly incredible student leaders – we’ve got lots to boast about! Today, our robust program currently includes our GUish and Senior Fellows internships, Bayit Living and Learning Community, Jewish Student Association, Sisterhood women’s group, Shabbat and holiday programming, Shabbaton retreats, “Journeys: The Search for Home” Alternative Break Program on forced migration (which explores both historical Jewish migration and current non-Jewish immigrant and refugee experiences), our multi-faith groups and programs, our cycle of credit-bearing and non-credit-bearing courses, our partnership with Hillel International’s Taglit Israel trips, and the many Jewish and Israel-focused student groups with which we are affiliated. Q: What do you think makes Jewish Life stand out most? A: Today, Georgetown boasts a vibrant, pluralist Jewish student community several hundred strong. Our Jewish Life program (formerly known as the Jewish Chaplaincy) engages hundreds of undergraduates in Jewish living and learning every single day of the academic year. On the broadest level, our Jewish Life program provides Jewish presence, voice, counsel, and expertise for the entire Georgetown community. More specifically, our mission is to enrich and empower self-identified Jewish students along their personal journeys and to help them discern their unique roles in delivering a brighter future for the Jewish people and for the world. Jewish Life at Georgetown has won awards from Hillel International in two categories: in the breadth of our reach and the depth of our programming. We are among the top universities in the country in these areas, and we now reach a higher percentage of Jewish students at Georgetown than the vast majority of schools in the country. Not only do we reach them once, but multiple times. We have been recognized for the way in which we engage our students in an ongoing fashion and transformative ways. I think this is due, in large part to our being situated within a Jesuit university. Primarily for two reasons: On the one hand, in pursuit of its core values of multifaith engagement, Georgetown offers many opportunities and resources for gaining exposure among students – so our expert staff can seek out students in university-supported ways. And at the same time, since the Jewish community is a minority community on campus, Jewish students very actively seek out Jewish Life programs and Jewish communities that make campus feel more like home. Q: What is one message you have for Jewish students at Georgetown? A: You can be Jewish in any way that you actually are and actually feel and actually identify as, and you are welcome here. Some of our students are very religious here, and a lot of them are secular and feel themselves as culturally connected. Some grew up in homes of only one tradition, Judaism, and some grew up with many traditions. That’s what has been most meaningful to students here. We are very attentive and aware of the many types of different Jewish students Georgetown has on campus, and we welcome everyone to participate with Jewish Life. Jewish Life 50th Anniversary Shabbat: The evening will include services, guest speakers, including President John DeGioia, and a kosher dinner. History of GUish Life: Bethesda Bagels and Walking Tour: Meet in 111 Healy Hall (Jewish Life office) at 12:30 pm for Bagels & Coffee. At 1:00 pm, Ari Goldstein (C’18) will lead a walking tour focusing on pivotal moments and events in the history of Jewish Life on the Hilltop. 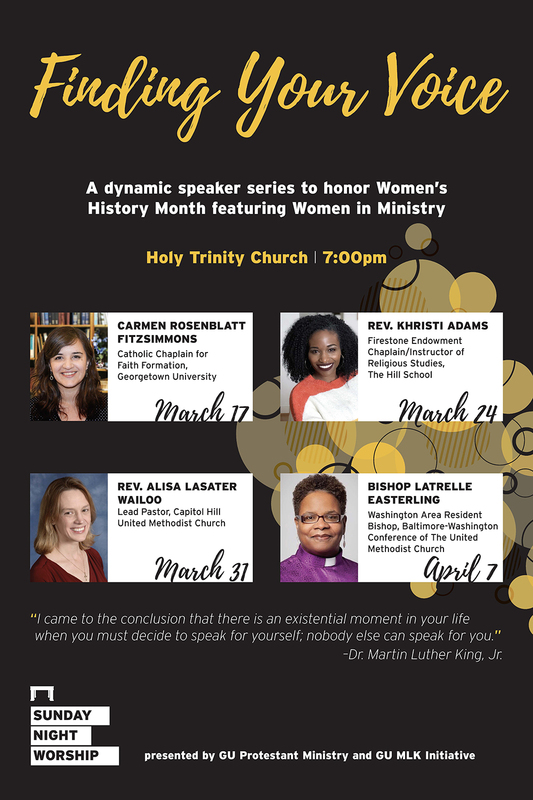 Protestant Ministry and the GU MLK Initiative is celebrating Women’s History Month with Finding Your Voice. The event will take place during Sunday Night Worship and will feature women in ministry from the Christian community discussing ideas of female empowerment. 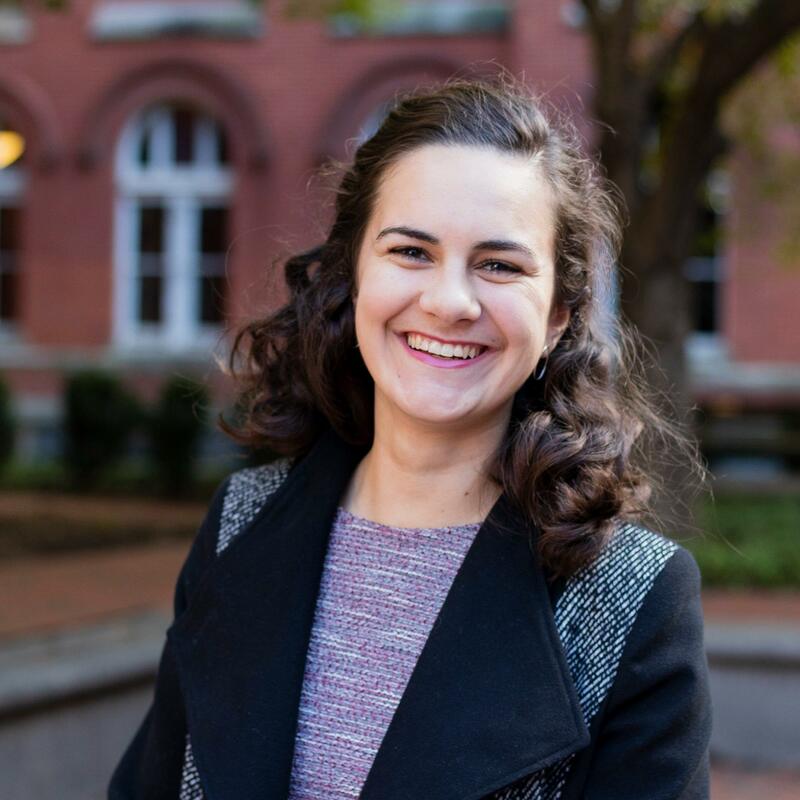 This Ecumenical series takes place over four Sundays, beginning on March 17 with Carmen Rosenblatt Fitzsimmons, Catholic Chaplain for Faith Formation at Georgetown presiding. The remaining speakers are, Rev. Khristi Adams Firestone Endowment, Chaplain/Instructor of Religious Studies, The Hill School (March 24), Rev. Alisa Lasater Wailoo, Lead Pastor, Capitol Hill, United Methodist Church (March 31), and Bishop Latrelle Easterling, Washington Area Resident Bishop, Baltimore-Washington Conference of The United Methodist Church (April 7). Each service begins at 7 p.m. at the Holy Trinity Church right across from Georgetown University. Sunday Night Worship brings in about 75 people on average per week to the service. The congregants are mostly undergraduate students, with some graduate students as well. Protestant Ministry hopes Finding Your Voice will provide a new perspective to Christian worship. Please join Protestant Ministry to celebrate the wonderful contributions of women to the Christian community. Finding Your Voice is presented by Georgetown University’s Protestant Ministry and MLK Initiative. See the event listing on Protestant Ministry’s Facebook page. by Dustin Hartuv. Hartuv is a freshman at Georgetown and a staff writer for Campus Ministry. The new Dharmic Life logo incorporates the symbols from Vedic-origin Dharma traditions as well as Jain, Buddha and Sikh Dharmas. In a step towards better recognizing the spiritual traditions of ancient India and freeing them from outdated terminology and generalizations, Campus Ministry’s Hindu Life program will be incorporated into a new program, Dharmic Life. When the British came to India, it was mistakenly presumed that non-Muslim people of India – Hindus – practiced one mysterious religion, and thus ‘Hindu-ism’ was reported to be the religion they followed. In fact, there are five major religious traditions – namely Śaiva, Śākta, Vaiṣṇava and Smārta Dharmas in addition to Modern Hinduism and other regional Dharmas. Beyond these Vedic-origin Dharma traditions, there are also the world-famous Jain, Buddha and Sikh Dharmas. Georgetown University has seen numbers of students hailing from these Dharmic backgrounds increase over the past few years. In consultation with the student groups seeking more inclusive representation and resourcing, Campus Ministry has agreed to create the Dharmic Life program. For more information about programs and retreats, follow us on Facebook or check out our webpage.